What really makes Fantasy Life such a fun little game is the mix of RPG-style combat and everyday life aspects. While there’s plenty of time you can spend going out adventuring, you can spend just as much time talking to villagers and customizing your house. Ever Oasis strike very much the same balance, although its customization aspects are a bit different from Fantasy Life. 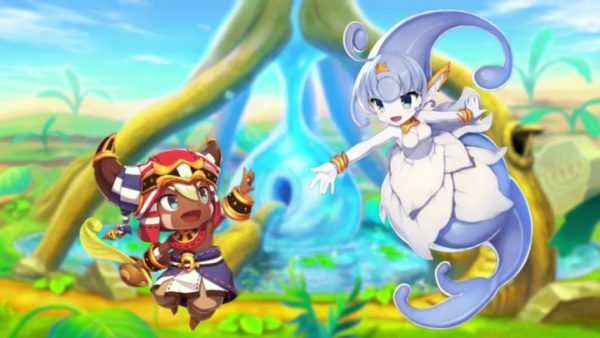 Ever Oasis casts you as a young seedling, who with the help of a water spirit named Esna creates the last oasis in the world, the only place safe from a malevolent place known as Chaos. Building up your oasis and expanding it is the crux of the game, and there are some light town-building elements that come into play. Other seedlings will come to your oasis and settle down, or you can find them out in the world, and some of these characters will even open up new Bloom Booths – shops for you to buy items and gain resources. You can take requests from NPCs to upgrade Bloom Booths, mostly by foraging for materials in caves and dungeons out in the world. Outside of building your oasis, Ever Oasis sports a real-time action combat system that lets you build a party. It’s fairly simple combat, but still has enough complexity and depth to make it engaging, much like Fantasy Life. Ever Oasis may not have the same absolute freedom as Fantasy Life, but if you’re looking for another title that creates a blend of action-RPG and sim, then look no further than Ever Oasis.